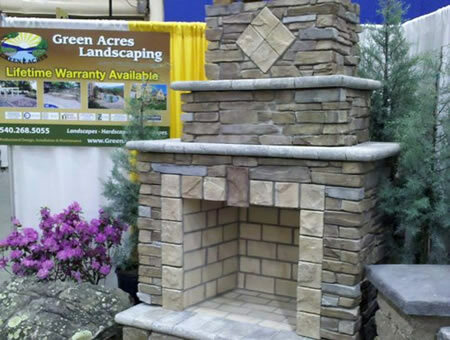 Green Acres was awarded "Best Of Show " at the Greater Roanoke Home & Garden Show in Roanoke, Virginia, January 2016. 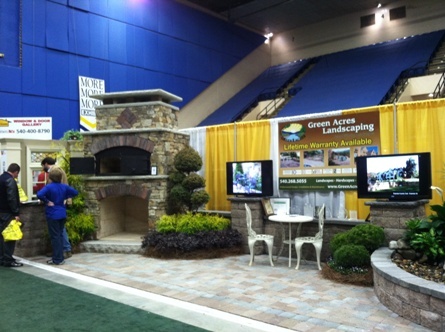 The display included a fireplace with brick oven, water feature, patio, retaining walls and landscape. 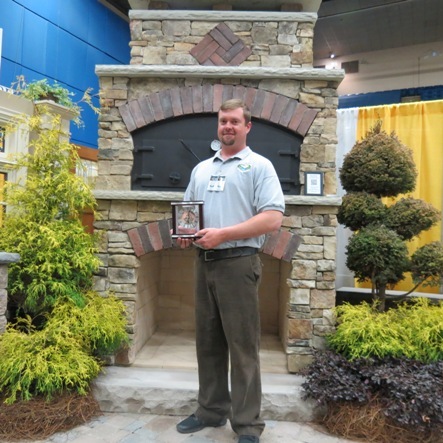 Green Acres was presented with the "Best In Show - 2nd Place " award at the RRBHA Spring Home Show in Salem, Virginia, March 2014. 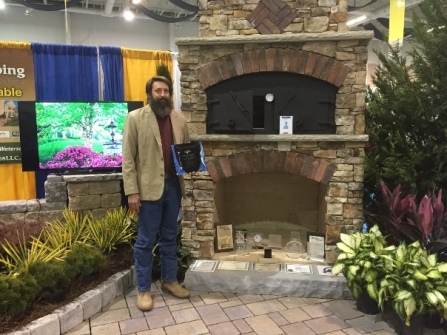 Below are photos of Mark Stone displaying the award in front of our custom designed & built pizza oven, as well as photos of the fun times in our booth. 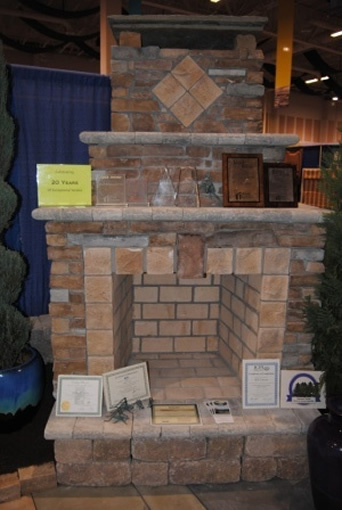 Green Acres was awarded "Most Creative Design & Display - Bronze Award " at the RRBHA Fall Home Show in Salem, Virginia, September 2012. 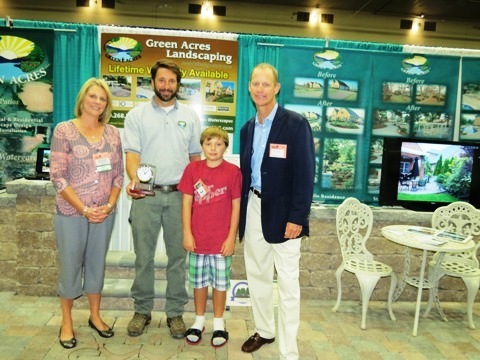 Below, The Fall Home Show Committee presents the award to Bill Garren, owner. 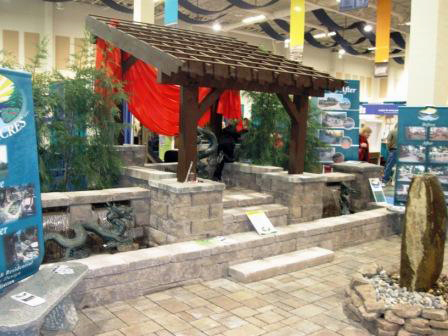 The display included a fireplace, water features, patios and retaining walls. 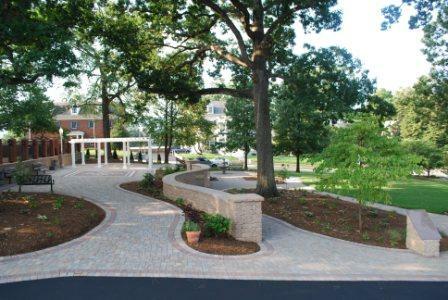 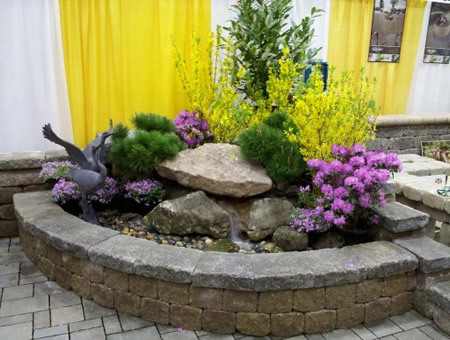 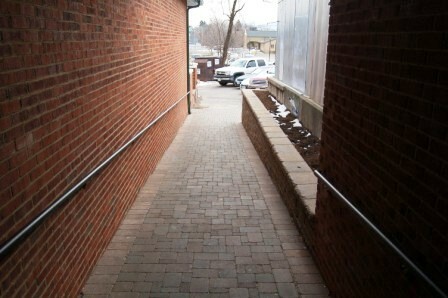 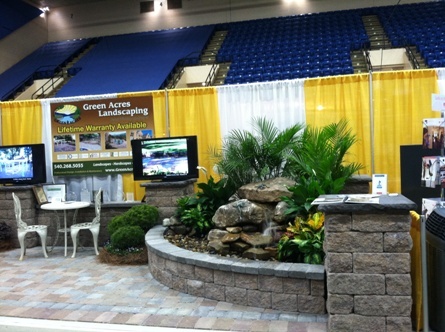 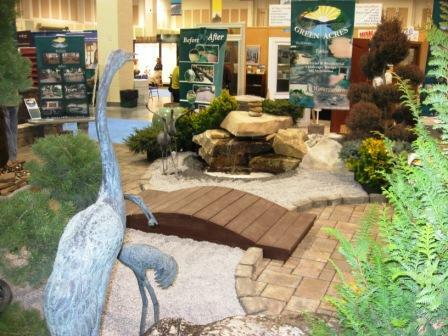 Green Acres was awarded "Best Landscape" at the RRHBA Spring Expo in Salem, Virginia, March 2012. 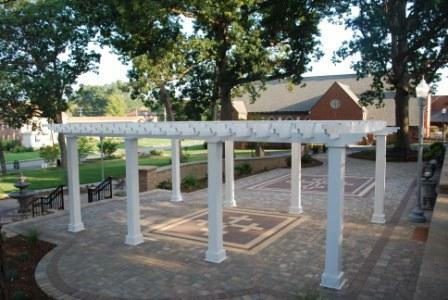 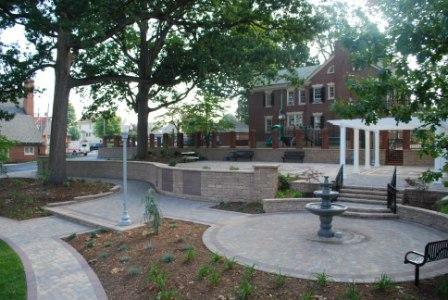 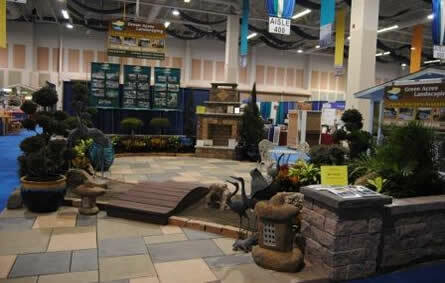 The display, designed and created by Green Acres, included patios, a fireplace, landscaped water features and unique outdoor structures. 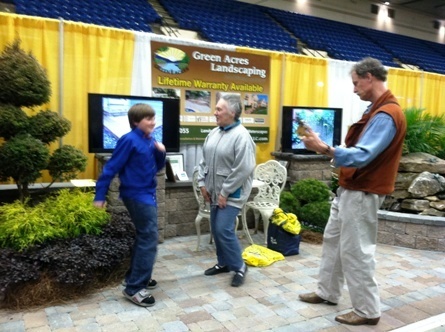 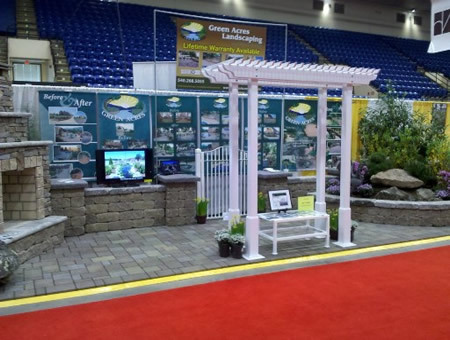 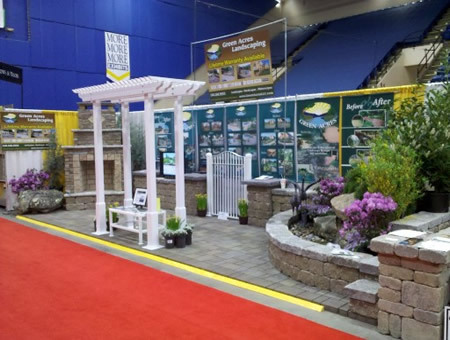 Green Acres was awarded "Best Of Show " at the Greater Roanoke Home & Garden Show in Roanoke, Virginia, January 2012. 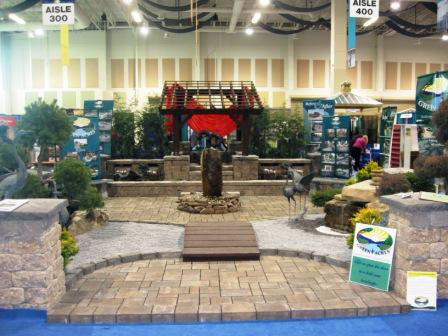 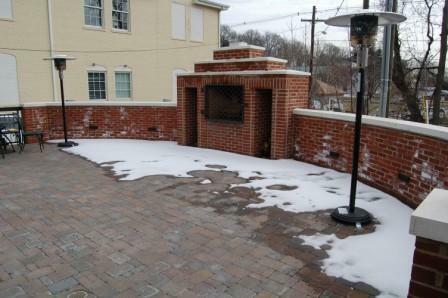 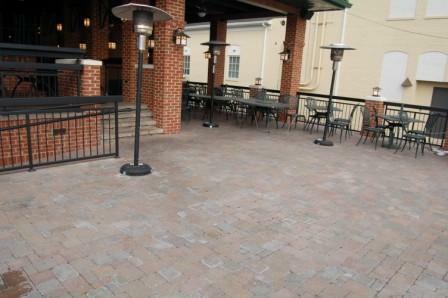 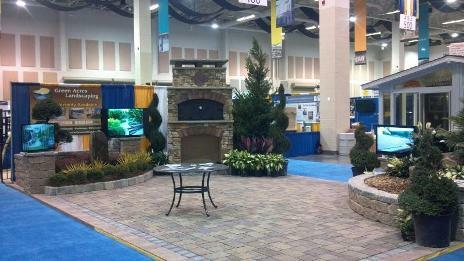 The display, designed and installed by Green Acres, included water features, patios and a fireplace. 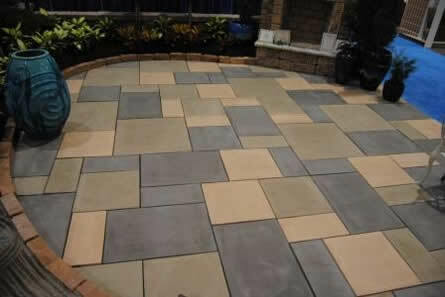 Imagine having such an area at your home! 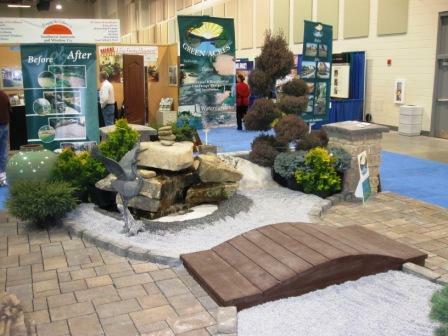 Green Acres was awarded "Most Creative Design & Display - Silver Award " at the RRBHA Fall Home Show in Salem, Virginia, September 2010. 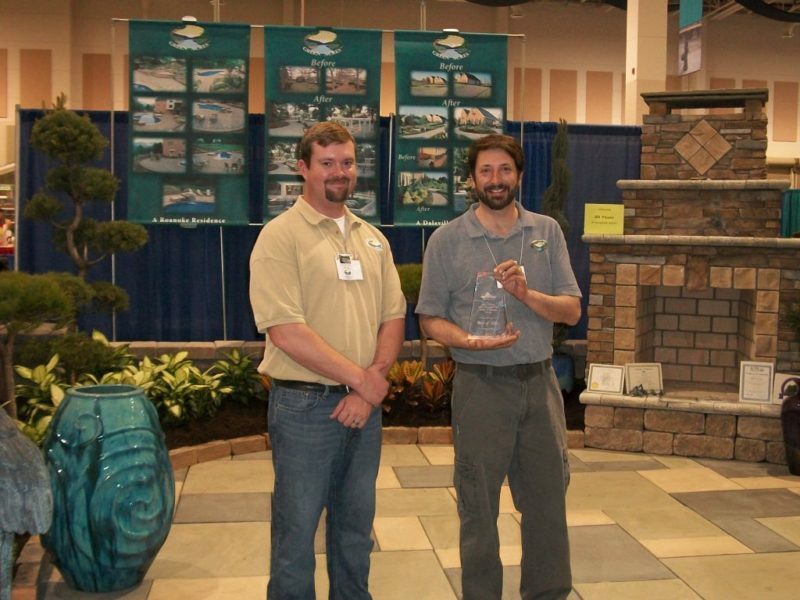 Below, Chris Wade , Chairperson FALL Home Show Committee, presents the award to Bill Garren, owner. 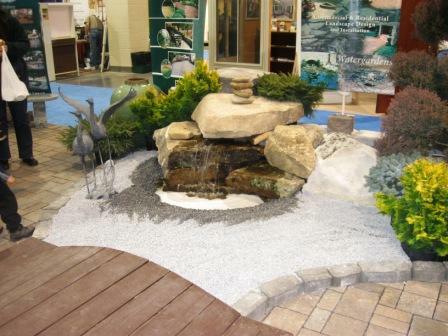 The unique display included water features, patios and retaining walls. 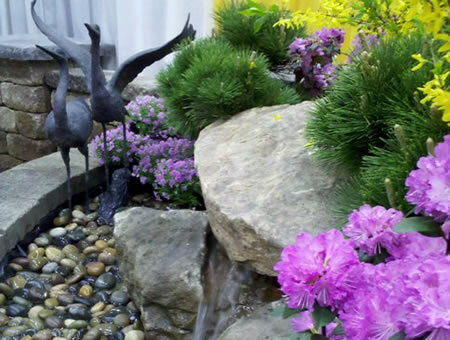 This was complimented by an array of fall color in the landscaping. 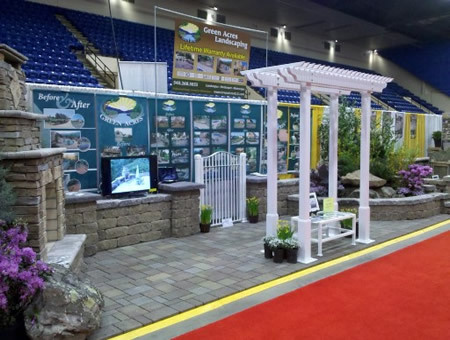 Our thanks to Springdale Water Gardens and Greenbrier Nurseries for lending us products to assist in creating this award winning display. 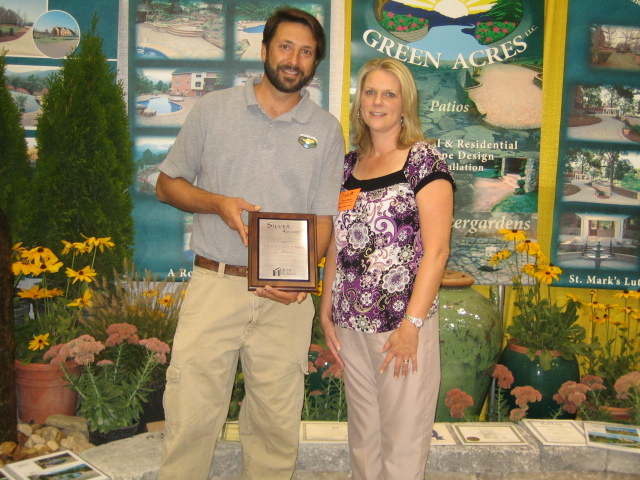 Green Acres was awarded "Best Landscape" at the Greater Roanoke Home & Garden Show in Roanoke, Virginia, January 2010. 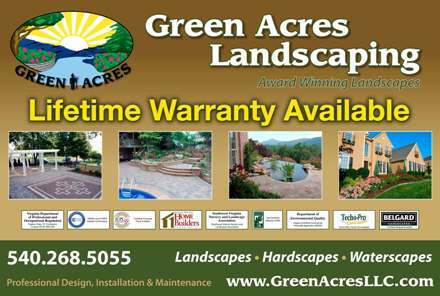 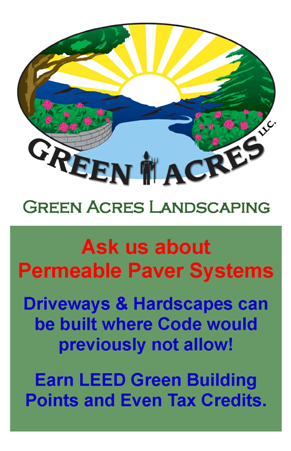 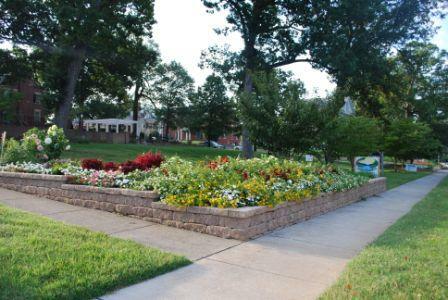 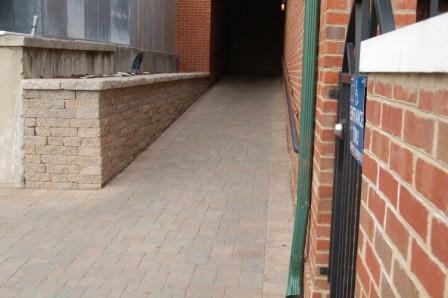 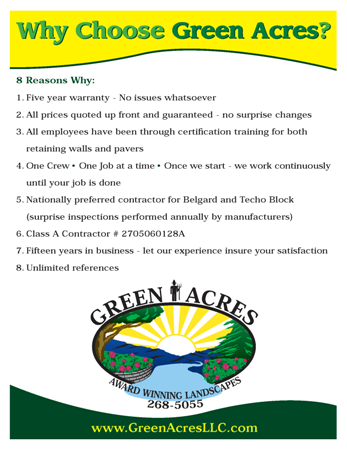 This highly competitive category was sought after by many landscape professionals in Virginia. 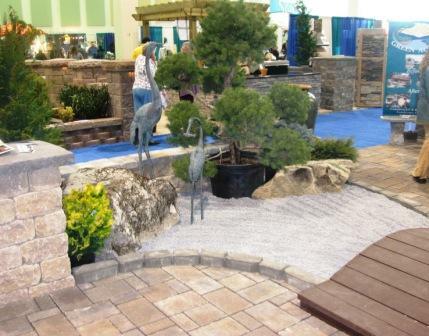 The design, created by Bill Garren owner of Green Acres, featured a Japanese Garden with a multitude of special features as shown below..
Green Acres was awarded "Excellence in Historic Preservation" by the City of Roanoke, Virginia Architectural Review Board for outstanding renovation of the landscape at St. Mark's Lutheran Church. 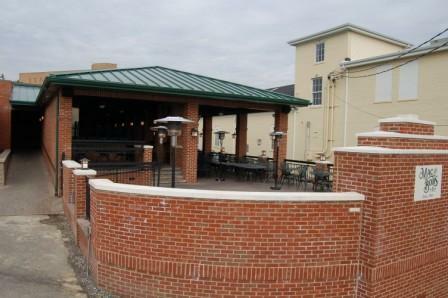 Mac & Bob's Restaurant , 316 East Main Street , Salem VA , 540-389-5999, www.macandbobs.com In 2006, Green Acres installed at Mac and Bob's an outdoor courtyard with a covered outdoor bar. 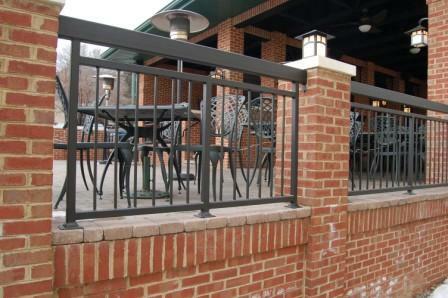 In 2007 the Roanoke Times named Mac and Bob's the Best Outdoor Dining Spot in the entire Roanoke Valley .